Welcome To Bubela & Associates, Inc.
We are committed to being the premier leader in providing customer value, driven through our strong commitment to integrity, respect and establishing trust with all of our customers. It is not only about expertise. You have expectations, needs, and desires. Our goal is to listen and ensure we work with you to sell or buy your next home, property, land investment or vacation home. Our passion for real estate expands through years of experience and education throughout our entire team. We are dedicated, committed and driven to work for you. So that we become your long term partner. We want to be your choice for all of your real estate transactions. We strive to develop life-long relationships and encourage you to call us long after the sale for advice and expertise. Whether you are buying or selling real estate in the Central or South Central Texas area, you deserve exceptional professional service and market expertise. YOU MATTER! Your success is our success. Start your search now by browsing our featured real estate markets by community, or contact an expert from Bubela & Associates for real estate advice and tips. Bubela & Associates strives to build long lasting relationships by exceeding our customer's expectations one home at a time. Your experience starts here. We have designed this website to be the most comprehensive and useful real estate website in the state. We don't just have homes for sale in one area - we have provided access to multiple MLS® boards in order to offer you the largest selection of central and south central Texas real estate. We have provided a variety of tools to help you throughout your real estate journey - whether you are buying or selling a home. If you are interested in buying a Texas home, visit our buyer's page where you'll have access to helpful resources like a mortgage calculator and tips for first-time home buyers. Are you looking to sell your home? On our selling page you'll find our free home evaluation tool and learn about our marketing plan - designed to get your home the attention it deserves. Take advantage of our free registration and be the first to know when new properties hit the market. You'll be able to browse for Texas homes for sale, and bookmark your favorite listings. Have you decided which community to call home? Your Texas real estate search starts below. Browse homes for sale by community, or use our advanced search tools to enter specific parameters. Central Texas real estate is found in the highly desirable area surrounding the vibrant city of Austin. 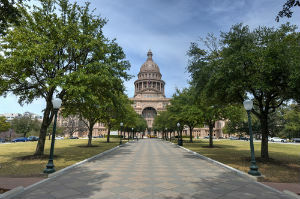 The diverse and stunning geographical features of the Texas Hill Country and the Great Plains province make the region a truly unique place to live. With plenty of communities from Liberty Hill, to Cedar Park, to Austin, and everywhere in between, you'll find a mixture of rural, urban and suburban real estate opportunities. As one of the fastest growing regions in the country, central Texas area homes, such as those in Cedar Park, Round Rock or Austin, offer an amazing, yet cost-effective, growth opportunity. Real estate in the central Texas region varies from affordable starter homes and condos, to exquisite luxury ranch properties and rural estates, satisfying a variety of home buyer preferences. Some of the most desirable homes for sale, outside of the big cities, are tucked away in the south central Texas region. Properties with generous acres of land can be found in and around the charming and bustling communities of Flatonia and Schulenburg. South central Texas features picture-perfect Texas towns brimming with American Southwest culture and history. 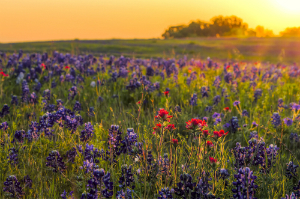 The region features diverse landscapes that range from lush river banks, to flat plains dressed in vibrant bluebonnets, to picturesque coastal terrain. South central Texas real estate features farms, ranches, luxury estates, beachfront homes, riverfront properties and more. Homes for sale in Harris County are popular because of the thriving and energetic nature of the big city - there is a reason why Houston is the highest populated city in the state, and the fourth-largest in the US. 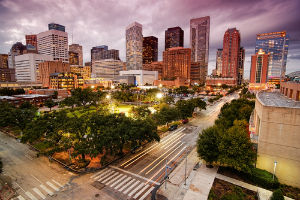 Well known to be a diverse city, Houston has an abundance of cultural and historical amenities. Discover the striking suburban neighborhoods, like The Woodlands or Katy, that offer tree-lined streets and safe communities, or choose a home in the thriving urban center. The Harris County real estate market is booming. Offering more affordable home prices compared to the nearby areas, yet providing the as much rich culture and history, it's no wonder Houston, and its surrounding cities, are excellent areas to purchase a home. If you are looking for some free expert real estate advice, or want more information on the areas we service, please don't hesitate to contact us. We strive to develop life-long relationahips and encourage you to call us long after the sale for advice and expertise. No question is too mundane - we're here to help! Our team is dedicated to putting our experience and local knowledge to work for you in all steps of your real estate transaction, from start to finish. Find out why Team Bubela Real Estate is one of the most respected teams for buying and selling in the South Central Texas Area.